Once you release an album, there can be a tendency for it to get ‘lost’ in terms of your marketing and promotion. Rather than simply keep posting the same iTunes and links to your online shop again and again you have to keep thinking of new ways to remind fans that it is available. Ways that don’t look like the ‘hard sell’ which turns people off. Here are a few ways you can do that. 1) Fan remixes. Make the stems from some or all of your tracks available and put a ‘remix’ album out on Soundcloud. 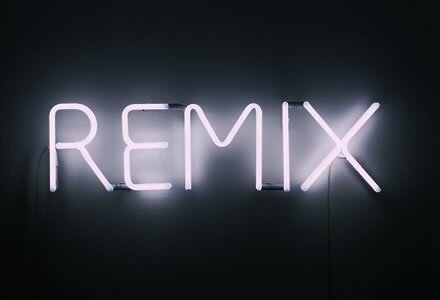 Create a fan ‘remix’ album as an official release if the quality is good enough! Remix competitions are fun ways to draw attention to your recent releases. 2) Lyric videos. Create lyric videos for your favourite tracks on the album, or you could do it for all of them. See how Queen does it here. 3) Live dates. Touring, mentioning the album in your gigging promo material and playing your new tracks live all helps. 4) Run competitions. Signed album giveaways are popular and will show up in people’s social media newsfeeds as a reminder to fans of the release. Most competitions are there to highlight that something that is currently on sale. 5) Have a post release sale. Try and encourage the fans who didn’t buy it upon release to purchase it with a price reduction a few weeks/months after release.